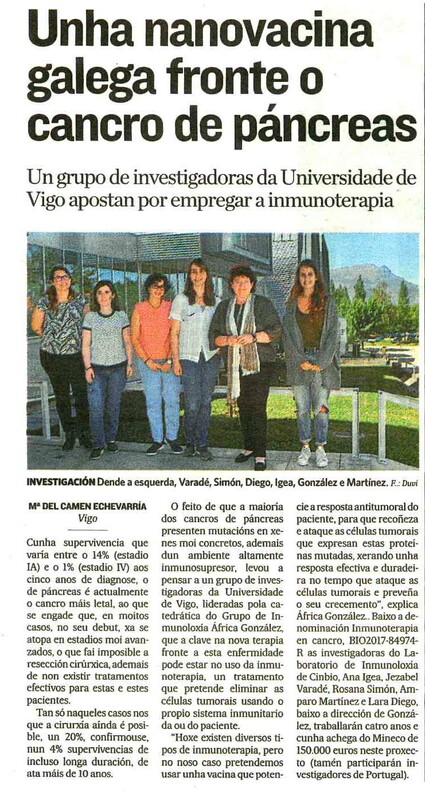 The CINBIO Group of Immunology, coordinated by Prof. África González, develops the projectof cancer immmunotherapy, “BIO2017-84974-R”, to find a “nano-vaccine” to fight pancreas cancer that “currently is the most lethal, with a survival average of 14% in stage I, to only 1% in stage IV”. This project amounts 150,000 euros and is also participated by esearchers from the north of Portugal. 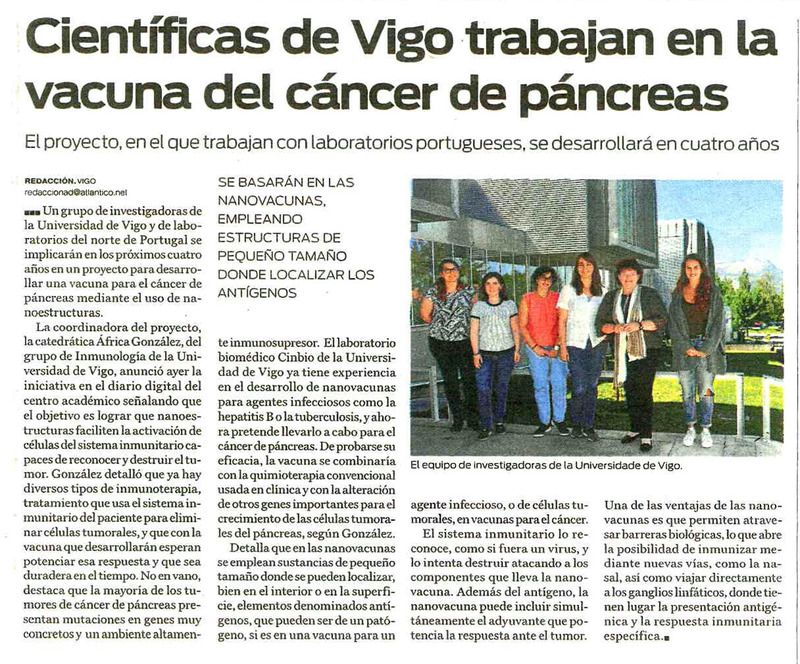 África González indicates that “the fact that most pancreas cancers show mutations in very specific genes, in addition to a highly immunosuppressive environment”, led to think that the key to dealing with the disease “might be using immunotherapy”. She points at “using a vaccine that enhances the patient’s anti-tumor response, so that it recognizes and attacks the tumor cells, generating an effective and lasting response over time, and preventing its growth”; and that “nanostructures may be an advantage over vaccines tested so far, with little therapeutic efficiency. 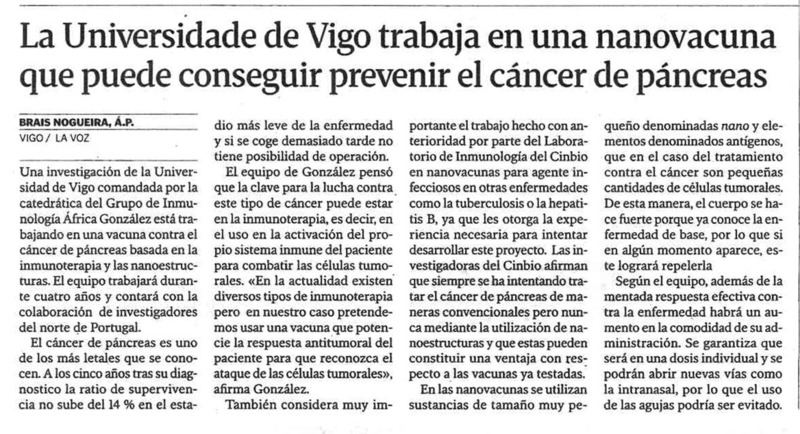 They could enhance the response; decrease the need to make several immunizations; go through biological barriers; and reach the target cells.